You know that you need to work out, but finding the time to get to the gym is difficult between everything else you need to do. This is where the convenience of having your own stair stepper machine or stairmaster machine would be obviously beneficial. The luxury of being able to work out in the privacy of your own home whenever you want is clear. But what is not as obvious would be what are the best step machines on the market in 2019. Here, I will review some of the best machines and help you find the best for your budget and needs. The benefits of a stair stepper machine are multi-faceted. First of all, stair steppers provide a low-impact workout which is easier on the body than many other aerobic exercises which jar and shock the joints. While there are risks of strain to the knees, this is an issue with any leg exercises, and a doctor should be consulted before beginning any regimen. A stair stepper, like an elliptical trainer, also targets many of the muscle groups of the lower body, including the buttocks, legs, calves and thighs. This can improve muscle toning and does not overwork the body like weight machines potentially could. Also, because stair exercises are aerobic exercises, they are great for cardiovascular health, even at lower intensities. For the purpose of this discussion, I'll consider two types of step machines: the stepper and the climber. 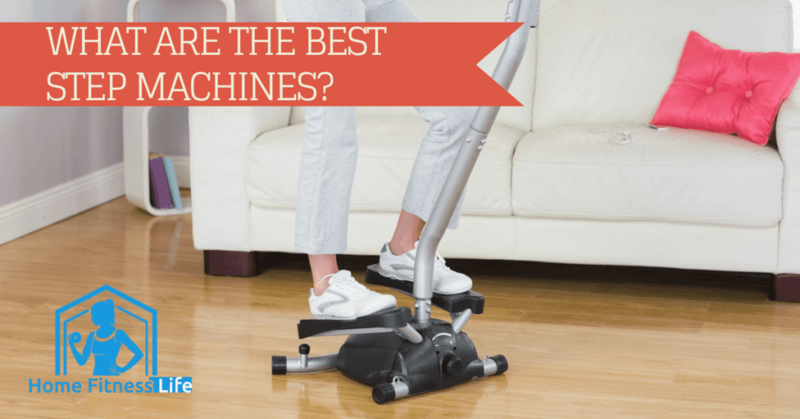 A stair stepper is fairly simple and usually easy to store in your home gym. They tend to be comprised of two pads for the feet with either hydraulics or rubber bands to add resistance. Depending on the model, there are usually handles to help you keep your balance while using the stepper and resistance bands to provide an upper body workout. Steppers add a twisting motion to the range of motion, allowing you to strengthen your core muscle groups in the lower back. Climbers attempt to emulate rock climbing through an apparatus that combines arm and leg movements. These models are usually a few feet tall and have places for your feet to connect to a long bar with handles for your hands. While at first, this might not seem like a very challenging workout, but many novices are only able to handle a couple of minutes before their bodies can adjust. 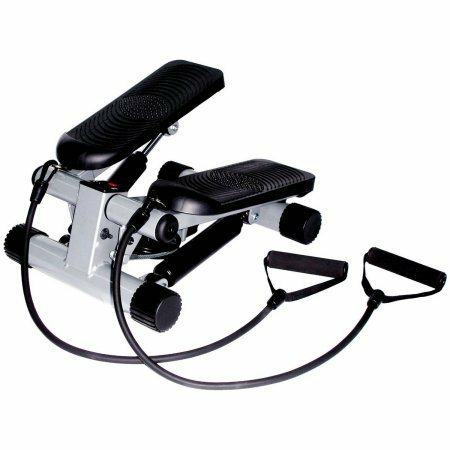 While available for sale, there are motorized steppers that you would find in gyms and health clubs, but the cost and size of these units make them a little too steep for most consumers. Here, we will look at steppers and climbers that retail for less than $200. The first is a very budget friendly stair stepper called the Akonza Stepper with Handle. What makes this stepper unique is its price point. The handlebar height is adjustable, ensuring comfort for users no matter how tall. The tension pulley system makes for a very smooth step. One issue is that the tension adjustment did not seem to have much range; no matter how much I turned the knob, the resistance didn't seem to change much if at all. 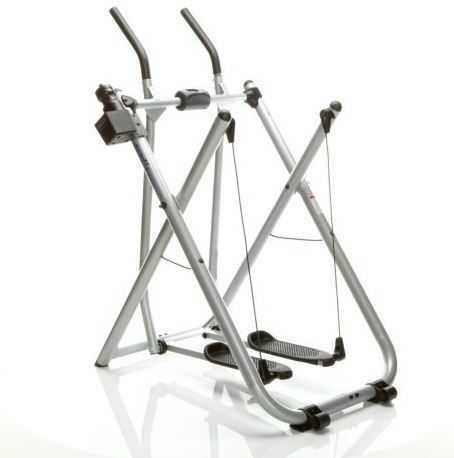 Among the lower priced entries of steppers is the Titan Fitness Twister model. 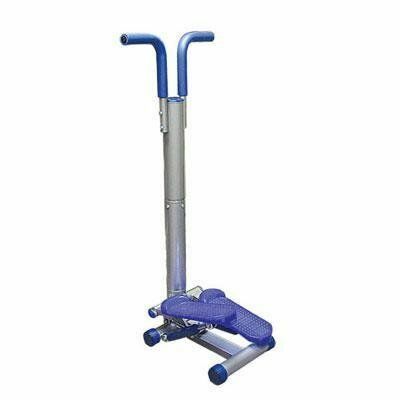 This unit gets around the issues faced by steppers that do not have handlebars by providing resistance bands that allow you to work your upper body. These straps can be removed if you do not want to use them.This unit also has a low profile, so you can store it under a bed or an end table. It's quiet enough to be used without disturbing others in the same room, but the LCD is not easy to read while in use. The Sunny Health and Fitness Mini Stepper definitely looks like a cheap stepper. It is small with very few frills. But along with the size and low cost come some unexpected advantages. Weighing only twelve pounds, this machine can easily be stored in a suitcase for use while traveling, or left at the office to work out during a break. Unfortunately, some heavier users have had issues with the bolts and footplates breaking after only a few weeks of use. The resistance can be finicky and require adjustment. The Wagan EL2273 Mini Stepper provides most of the things that a more expensive machine might have, but without the frills. This machine takes up very little floor space. Assembly is simple, and the device is light enough to move around the house with ease. With this efficiency does come a few drawbacks. This stair stepper does not fold down for easy storage in your home gym. Nor does it allow for an upper body workout, since the handles do not adjust for height. This model can feel stiff and requires greasing to prevent squeaks. Small machine does not take up much space. Machine feels stiff and squeaks. 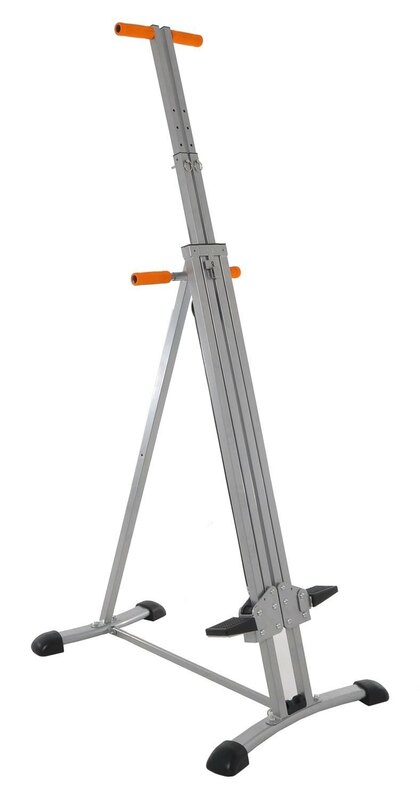 What's surprising about the Sunny Folding Climber Stepper is that even with its low price it is durable and stable. It's difficult to tip over and does not seem to have the issues one would expect when buying something in its price range.It has twelve different tension settings that are distinct and easy to set up. One problem with this unit is that the hydraulic pistons can leak. This model offers a climbing workout in an economical and easy-to-set-up package. In spite of its slim profile, the 3.0 has ergonomic handles for both the stationary and the moving segments. 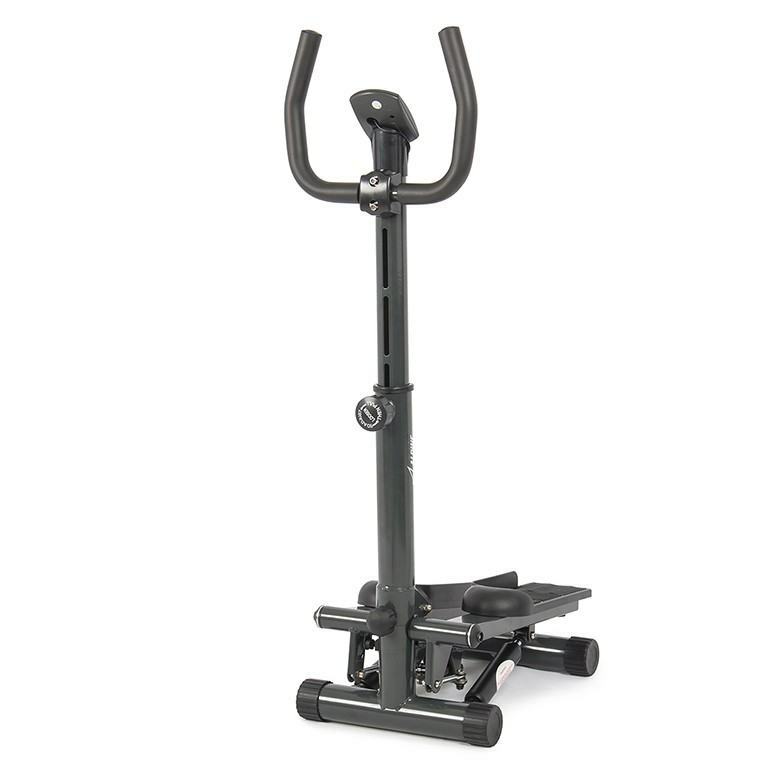 One issue with this unit is that it doesn't have any resistance options, making it an isometric trainer. Well known as a mainstay of late-night infomercials, the Gazelle Freestyle offers a full body workout like a climber with the low impact of a stair stepper. This elliptical trainer allows for a full range of motion and lets you change your pace seamlessly. The LCD offers the standard features as well as providing a pulse monitor. This machine requires a lot of space and does not allow for resistance adjustments. It's a great addition to any home gym. 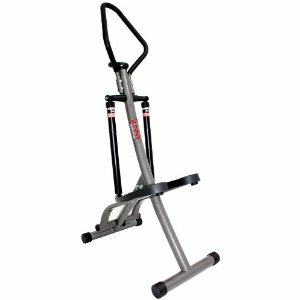 Burning 500 calories an hour, the Maxi Climber Vertical offers a complete workout without stressing your lower body. Almost entirely assembled on delivery, this unit can be quickly and easily set up and taken apart as needed. It is lightweight in construction, so it can be prone to breaking when used by heavier exercisers. It tends to rock a bit when used at higher intensities and doesn't provide much resistance for your arms. 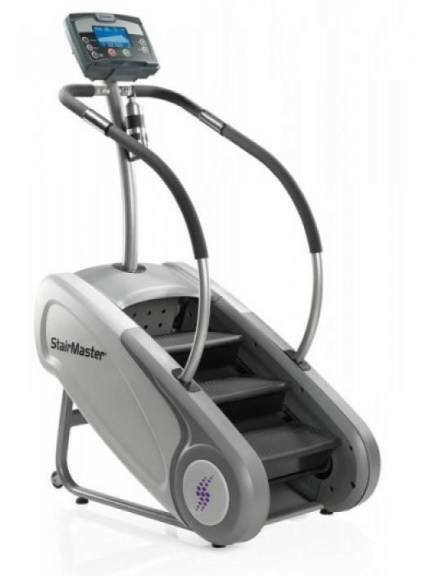 The StairMaster SM3 brings the toughness of a commercial unit like that you might find in the gym in your home. 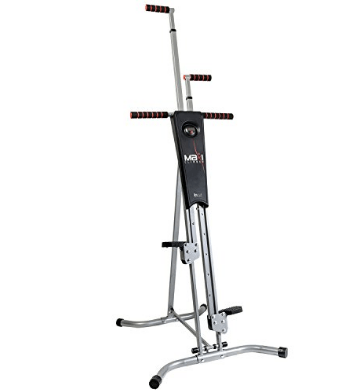 This machine provides a high-intensity workout for people with space limitations. With a variety of workout options, such as Calorie Burner, Fat Burner, Heart Rate Zone Trainer, and Heart Rate Intervals, you can get some of the most efficient cardio and strength workouts. 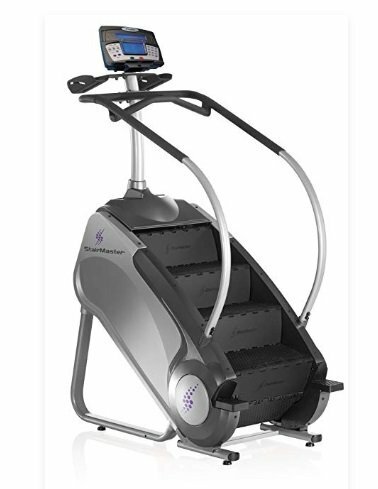 With a patented revolving staircase, this high-quality machine offers an incredible lower-body, cardio workout. Some of the goodies included are a backlit LCD display, a reading rack, an accessory tray, and a water bottle holder. The display console is advanced with 20 resistance levels and 6 programs. You'll always have instruction to ensure you'll make progress. 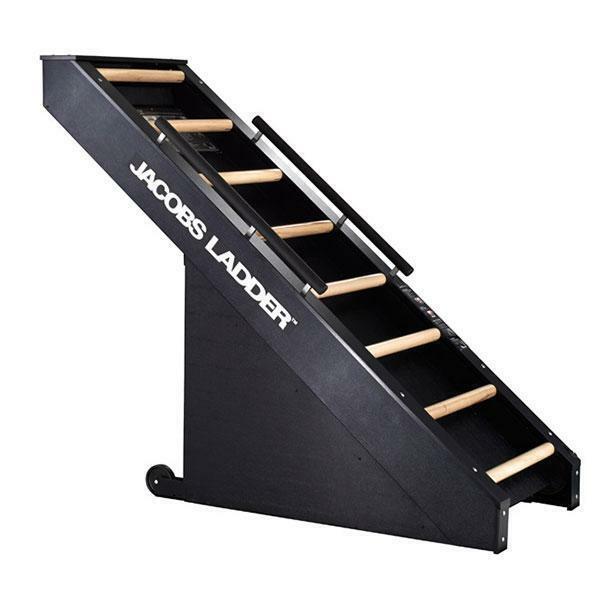 8"-high stairs provides a realistic stair-climbing experience. 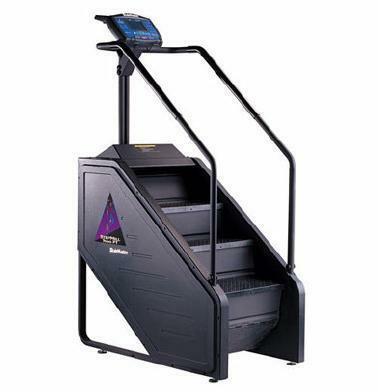 Similar to the other StepMills in this list, this commercial machine has 8-inch stairs. This one of the best stair climber machines you can buy. Ranging from 26 to 162 steps a minute, you can complete 10 total workout programs with this device. You can monitor your progress, and heart rate with an easy-to-ride 2 window backlit LCD display. One thing to keep in mind is that his machine requires a 10-foot high ceiling. You might recognize this one as the machine being used by the character Axelrod in the hit show Billions. This machine is intense. It provides a full body workout using both your arms and legs for a superior cardio workout. It’s low impact, so it should relieve any unnecessary stress on your hips or lower back. It is commercial grade quality, but still suitable for the home. And it’s a highly sought-after fitness machine in most gyms. 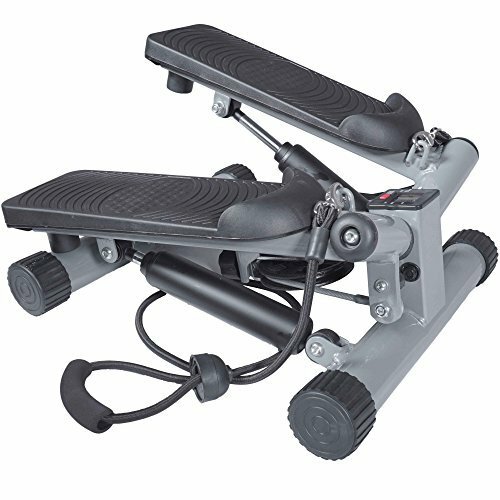 Whether looking a stepper or a climber, there are many options available at budget-friendly prices. All of these options are low impact and perfect for anyone worried about injuring their joints and ligaments. 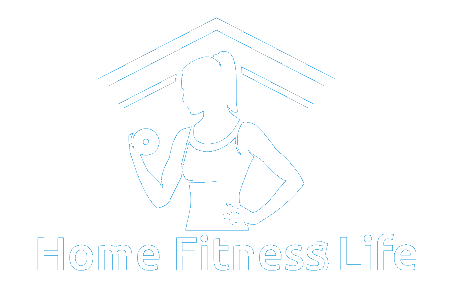 Click here for more great cardio equipment recommendations for calorie burning workouts at home!